Herman Hollerith was born on 29 February, 1860, in Buffalo, New York (sadly, the poor boy could only get birthday presents once every four years :-). He was the youngest of six children of German immigrants Johann Georg Franz Hollerith and his second wife Franziska (nee Brunn) Hollerith. Georg had one child from his first marriage (Anna, b. 1836), before to marry to Franziska Brunn (b. 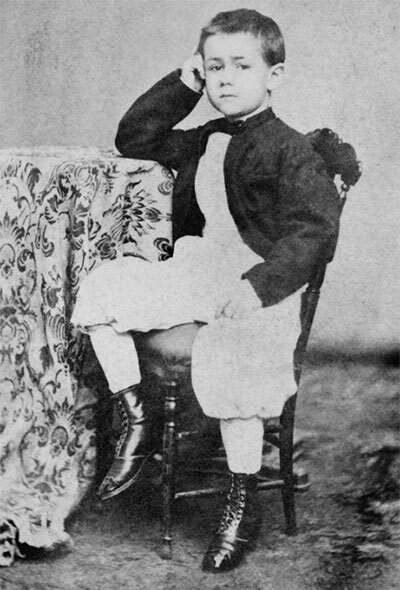 29 May 1818) on 14 June, 1846, in Speyer, Germany, and they had five children (Regina Therese, b. 1847; Bertha (Betsy), b. 1849; Georg Karl (George Charles), b. 28 Oct. 1855; Fanny, b. 1857; Herman, b. 1860). Georg Hollerith was born on 18 September, 1808, in Großfischlingen, Rheinpfalz, a region in south-western Germany (the founder of Hollerith family in Rhineland-Palatinate was one Johann Michael Hollerith, a native of South Tyrol, who moved to Großfischlingen in 1680s, to marry the local girl Anna Katharina Engelhardt in 1687). Johann Georg was the son of Franz Hollerith (1780-1863), a burgomaster of Großfischlingen, and he had two younger brothers: Georg Anton (1813-1900), and Mathias (b. 1815, in 1856 also emigrated to USA). Johann Georg attended а school in the nearby town of Landau, then studied theology at the University of Heidelberg. After graduation he worked some time as a Lutheran priest, then became a professor of ancient languages (Latin and Greek) in the Gymnasium at Speyer (Pfalz). In 1832, Johann Georg, a loner, a freethinker, and an accomplished violinist, took part in the famous Hambacher Fest, the culmination of bourgeois opposition at the time of the Restoration. In 1848 he put down his schoolbooks to take part in the Revolution, and after the Battle of Kirchheimbolanden in June, he was imprisoned at the fortress of Rastatt. He was eventually released, but lost his work, and without means of existence, he and his family (his wife Franziska and two daughters) had no choice but to emigrate to America. In the USA Hollerith family settled in Buffalo, New York, where Franziska had relatives. Initially, the economic condition of the family was not very good, and Johann Georg worked as a teacher and a gardener. However, he was an energetic man of enterprise and soon succeeded to obtain large estates in Minnesota and Wisconsin, where he travelled a lot and earned many loyal friends among the Indians. In 1860s he was already a big landowner, who rented his lands to farmers, and took part in the Civil War, serving in the local guard of Buffalo. Unfortunately, while visiting his lands in 1866, he was severely injured when the horses shied, overturning his carriage. He never fully recovered from this injury and died on 9 March, 1869. Franziska Hollerith was left to raise their five children alone (Herman was only nine years old). Proud and independent, she declined to ask her financially comfortable relatives (they had been locksmiths in Germany, and after immigration to America, they established the carriage factory Brunn Carriage Manufacturing Co. in Buffalo) for assistance, choosing instead a life of tough, principled self-reliance, and making custom hats for rich women. Some time after the death of Johann Georg, the family moved to New York City, where Herman attended a public school for a short time. He was a mischievous child, and having difficulty with his spelling (he remained a bad speller till the end of his life), he would slip out of the schoolroom when spelling time came. In response to this the teacher locked the door one day, whereupon Herman jumped out of the second-story window. After that heroic deed, he was taken out of school and taught by a Lutheran minister. Herman Hollerith was probably promoted by his father's friend from Revolution of 1848—Karl (Carl) Schurz (1829-1906). Schurz, a man of tremendous influence, who left Germany after the Revolution just like Hollerith, moved to US in 1852, and later became a Union general in the Civil War, US senator, and US Secretary of the Interior from 1877 until 1881 under the presidency of Rutherford Hayes. Herman entered the City College of New York in 1875 (in the US in the late nineteenth century, colleges were often more akin to upper-level secondary schools, than to universities). After a year and a half, he was admitted into the School of Mines at Columbia College (now Columbia University), and graduated in September, 1879, with the degree of Engineer of Mines, boasting perfect 10.0 grades (he had low marks only in bookkeeping and machines). While at Columbia, Herman took the standard course of study which required both classes and practical work. As an engineering student, he took chemistry, physics, and geometry, as well as courses in surveying and graphics, and surveying and assaying. He was also required to visit local industries, such as metallurgical and machine shops, in order to understand how they functioned. He also obtained some practical mining experience during summer vacations in the mines of northern Michigan. After graduating Hollerith became an assistant to one of his teachers, Professor Trowbridge, who was so impressed of his mind that he asked him to become his assistant. William Petit Trowbridge (1828–1892) was a mechanical engineer, military officer, and naturalist, who in 1879 was appointed Chief Special Agent to the Census Bureau, and took with him Hollerith, as a statistician. This appointment was very significant for the young engineer, because it was in solving the problems of analysing the large amounts of data generated by the 1880 US census that Hollerith was led to look for ways of manipulating data mechanically. 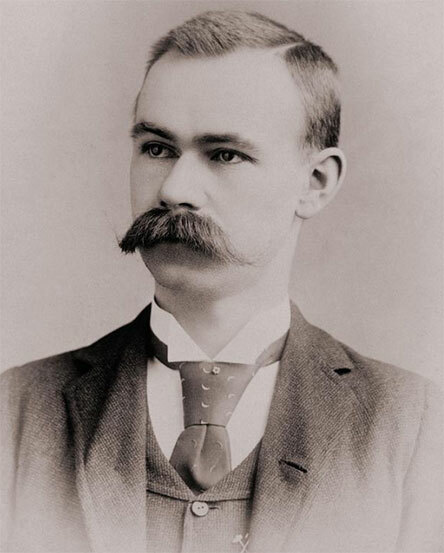 In 1881 Hollerith joined the Massachusetts Institute of Technology where he taught mechanical engineering. However, he didn't enjoy teaching, so he soon sought another job (although he left the academic world, he clearly was still attracted to certain aspects of it, and he was awarded a doctorate in 1890 at the Columbia School of Mines, for his tabulating systems.) Thus, in 1883 Hollerith obtained a post (assistant patent examiner) in the U.S. Patent Office in Washington, D.C. 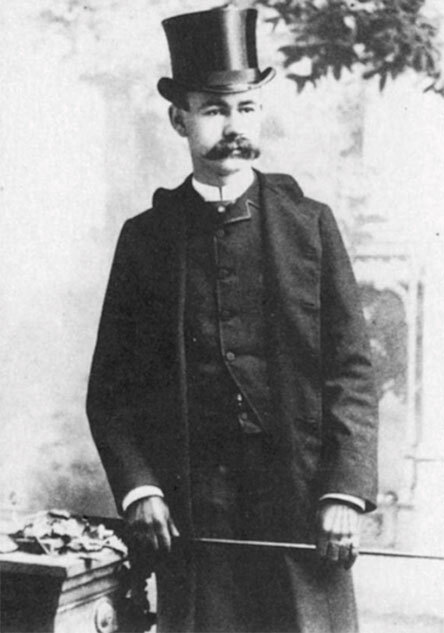 In 1884, Hollerith resigned from the Patent Office and embarked on his main career as an independent inventor and entrepreneur. In the same year, he filed a patent application on his first statistics processing device, which used a continuous roll of paper and consisted of a mechanically-operated punch and an electrically-operated reader, expected to work on censuses for several states, but the job offers he expected did not materialize, so he accepted a position as the manager of the Mallinckrodt Brake Co. in St. Louis, Missouri. By 1887 Hollerith moved back to New York. At that time he was entirely engaged in the design and improvement of his electric counting machines, and they proved to be a great success, as he won a contract from the Census Office when it reopened for the 1890 census, then his machines were used for censuses of Canada, Norway, Austria, Russia, and other countries. In 1889 Hollerith met Lucia Beverly Talcott (born on 3 Dec. 1865 in Vera Cruz, Mexico where her father Charles Gratiot Talcott (1834-1867), a civil engineer, worked on railroad construction). On 15 Sep. 1890, as his punched-card business was beginning to produce substantial revenue, he married Lucia. They had six children: Lucia Beverly (1891-1982), Herman (1892-1976), Charles (1893-1972), Nannie Talcott (1898-1995), Richard (1901-1967), and Virginia (1902-1994). 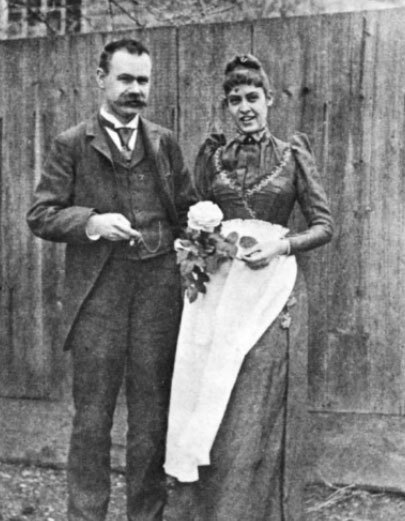 Herman took eagerly to domesticity, following his marriage to Lucia on 15 Sep. 1890. Shortly after, the couple posed in front of their first home on Dumbarton Str. in Georgetown, Washington, DC. In 1896, Hollerith formed the Tabulating Machine Company, which name was later changed to the Computer Tabulating Recording Company after a merger, and in 1924, the enterprise changed its name to the International Business Machines Corporation, or IBM. Although Hollerith worked with the company he founded as a consulting engineer until his retirement in 1921, he became less and less involved in day-to-day operations. In 1921 Hollerith retired to his farm in rural Maryland, where he spent the rest of his life raising Guernsey cattle. Hollerith was, according to the statements of the few people who lived or worked with him in close community, "a strange fellow", "a peculiar man", "closed", "little accessible", "only living for his family and work". He liked good cigars, fine wine, Guernsey cows, and money. And he ended up with a lot of each. Herman Hollerith died of a heart attack on 17 November, 1929, in Washington D.C, and was buried in the Hollerith family plot in Oak Hill Cemetery in Georgetown. His wife remained with their three daughters in the family home in Georgetown, and died at their estate in Mathews County, Virginia, on 4 Aug. 1944. Herman Hollerith is regarded as one of the seminal figures in the development of data processing. His invention of the tabulating machine marks the beginning of the era of (semi)automatic data processing systems, and his concept dominated that landscape for about a century.